Shopping Centre managers surveyed nationally by JLL have reported being more positive about future trading prospects of the centres they manage compared to six months ago. Centre managers considered the current record low fuel prices may prove to be a real positive for the retail sector during 2016 if the savings for motorists boost disposable income to spend on retail goods. 14th Retail Centre Managers' Survey was taken in February across 126 JLL-managed retail shopping centres nationally. 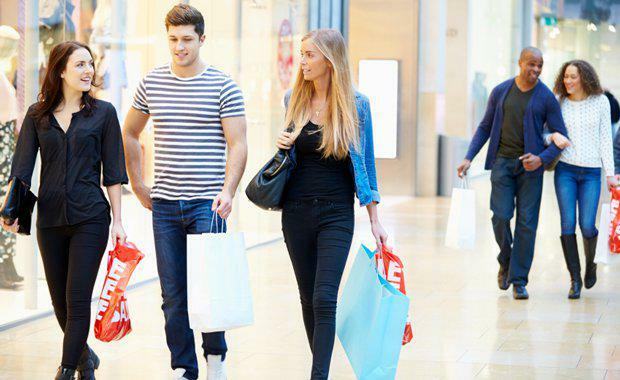 While positive sentiment was recorded with 55% of respondents expecting turnover growth in the year ahead, compared to 51% in the previous survey six months ago, concerns remained from shopping centre managers about the economy. The main concerns being highlighted by Centre Managers as impacting on their turnover performance going forward are competition from other centres (with a net balance of -39), followed by online retailing (-27) and economic outlook third at -20. JLL’s Head of Property & Asset Management – Australia, Richard Fennell said, “The big change since the August 2015 Survey was the impact of fuel prices. Fuel prices are at or near seven year lows, meaning the average motorist is spending significantly less on fuel and this could translate to more disposable income for other items such as retail goods and services. “However the volatility in the share market and low commodity prices are still cause for concern. “Centre Managers continue to show concern with the economic outlook, with a net balance of -20 highlighting this as a factor that could impact turnover in 2016. Although this has somewhat diminished since the last survey in August last year where the net balance was -33. “The most positive factors for turnover outlook highlighted by Centre Mangers in the February survey continue to be issues that are specific to particular centres, such as changes to tenancy profile, growth expectations within the trade area and planned refurbishment activity,” said Mr Fennell. Director, Strategic Consulting at JLL, David Snoswell said the survey results also showed a marked pickup in speciality rental growth over the past six months. “Improved speciality rental growth in both neighbourhood and sub-regional centres was a highlight in the second half of 2015 across the JLL-managed portfolio of retail centres nationally. “Rents in Neighbourhood shopping centres increased by 4.2% in 2015 while Sub-Regional centre rents grew by 3.1%“Vacancies in Neighbourhood centre improved marginally from 3.9% in June 2015 to 3.7% in December 2015. This continues the long-term improvement in neighbourhood centre vacancies. The vacancy rate has trended down over the last 2 ½ years from 5.8% in June 2013. “Tenant enquiry remains positive, but only just. The last four JLL surveys have reported positive tenant enquiry levels, although respondents have become less positive over the last 12 months. By far the most common response in the February survey was ‘no change’ to the level of tenant enquiry, with 63% of respondents not seeing a definitive change either way in tenant interest. “Enquiry has become more broad-based, with increased interest in retail categories such as accessories, jewellery, discount variety and kiosks. However, the main interest continues to come from food retailers (both food catering and specialty),” said Mr Snoswell.